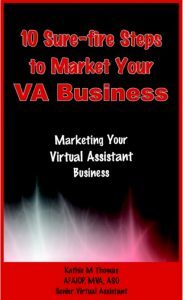 Just learning about being a Virtual Assistant and not sure what to do or where to go? Here are some suggestions for you to make use of and enjoy! with a 30 day free trial before choosing to accept and pay a small monthly fee. Sign up here for these and more. We also have two forums – one email based, the other at Facebook. Join either one or both, whichever suits your needs. With hundreds of ‘liked minded’ VAs at these forums you’ll be able to ask questions, share information and learn a great deal from those who have been doing it for some time. 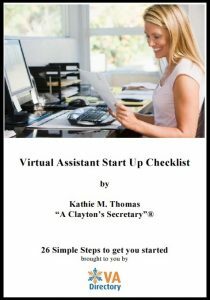 With over 2,000 VAs collectively and thousands of posts, you’re sure to be able to find the resources and answers you need to keep your Virtual Assistant business moving forward. Should you have business cards? Need to practice your digital transcription? Many VAs provide this service but it is important that you are well practiced in this skill. Here is a link to some broadcasts that you can practice with.